As winter approaches, there are two things that can come with it – an abundance of citrus and for some, seasonal colds. 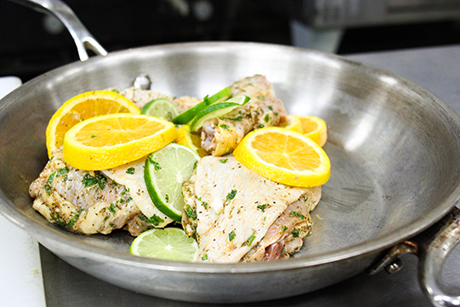 In this month’s Farm to Fork series, we’re using citrus to create a one-pot savory chicken dish that is not only simple to make, but provides great benefits to stay healthy this season. The herbs used in this recipe came from our Urban Farm’s aquaponic system, generously donated by Sustainable Integrated Farms (SIF). 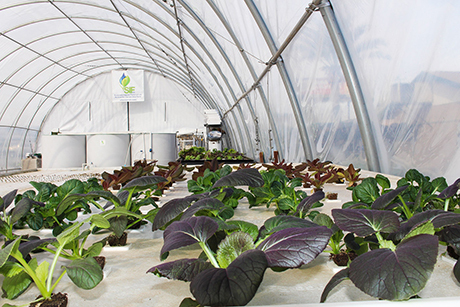 With their investment of materials, time and knowledge, an aquaponics system was built on our farm and now houses an entire ecosystem, complete with tilapia fish and rows of plants, including herbs. If you don’t have a garden, you can purchase fresh herbs from most grocery stores. In addition to this recipe, you’ll also learn some health benefits of eating citrus, with information provided by our Family Wellness Program. Citrus, such as oranges, lemons and limes, provides a variety of nutrients, including ascorbic acid (better known as vitamin C). It is an essential nutrient our body cannot make and thus, is important to consume on a regular basis. Vitamin C helps with growth and tissue repair. It also helps wounds heal, and maintains healthy cartilage, bones, and skin. 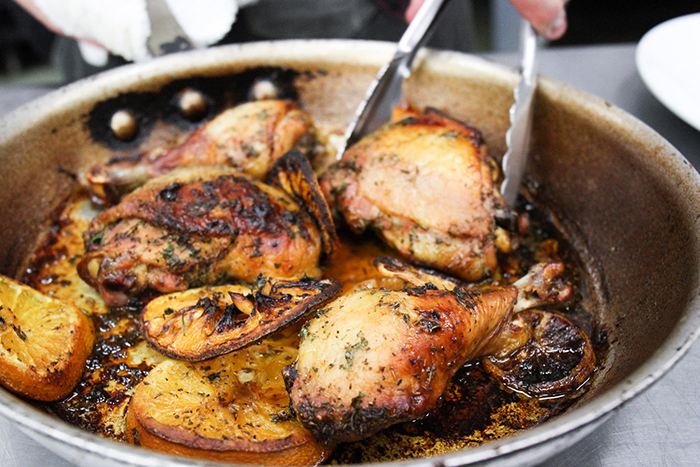 Place chicken pieces in a large glass bowl or baking dish. Toss with bay leaf, chopped rosemary, chopped thyme, lemon juice, olive oil, 1 teaspoon of salt and 1/2 teaspoon of black pepper. Cover and marinate the chicken at room temperature for 1 hour. Meanwhile, preheat the oven to 400 degrees. Arrange the chicken in a large baking dish. Choose one that holds the ingredients snugly in a single layer, so the liquid doesn’t evaporate while it cooks. Pour the marinade over the chicken. Season each piece of chicken with a little more salt and pepper, then add the citrus slices to the dish, tucking them in between and underneath the chicken. Add the wine to the dish and drizzle over a little more olive oil. Place the dish in the oven, uncovered, and cook for 1 hour and 15 minutes, or until the skin and citrus are nicely browned and the chicken is cooked through. 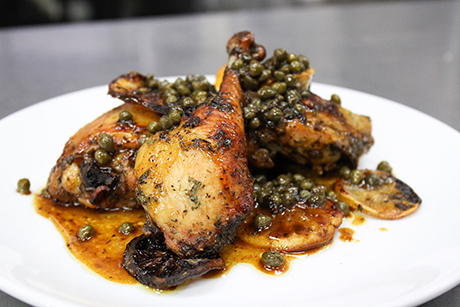 Remove the dish from the oven, and add capers if you’d like. Serve and enjoy! We'd love to see the dishes you prepare from our Farm to Fork series! Tag us on Facebook, Twitter or Instagram with your posts using #SVdPFarmtoFork. We prepare and serve 4,000 meals every day in our 5 dining rooms. Give today to help us provide hot, nourishing meals for our hungry neighbors.